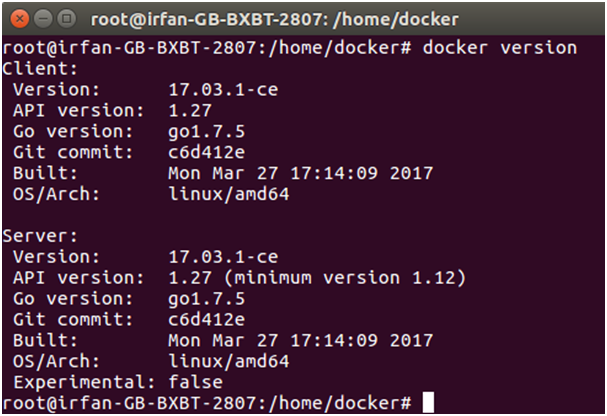 Docker is natively Linux based software so that it provides commands to interact and work in the client-server environment. Here, we have listed some important and useful Docker commands. It shows docker version for both client and server. As given in the following image. -t : it is used to tag Docker image with the provided name. -d : It is used to create a daemon process. -l : it is used to show latest available container. -a : It is used to show all available containers. container_id : It is an Id assigned by the Docker to the container. -r : It is used to delete image forcefully.